Yes it’s true (and clinically proven!) that you can get natural relief from your psoriasis with Dead Sea salt skin care treatments. This is by no means a new psoriasis treatment, but for many people, it is a very effective psoriasis treatment. The high mineral content present in Dead Sea salts combined with the detoxifying properties of the salts and mud, work to cleanse and detoxify the body naturally, pulling toxins away and out of the skin. In 1989, Israeli dermatologist Dr. Zvi Even Paz performed a clinical study on the effect that a psoriasis treatment using Dead Sea bath salts had on fifty psoriasis patients. Although it was long known that bathing in the waters of the Dead Sea would bring about temporary relief from this incurable skin condition, it was not known whether bathing in the Dead Sea bath salts just anywhere would have the same results. What they found was astonishing: in forty-seven of the fifty patients tested, significant relief was achieved! What Minerals Does The Dead Sea Contain? The Dead Sea is rich with minerals and thus has very healthy waters. All together the sea contains over 80 minerals which help beautify the skin and keep it healthy and youthful. Even the plants growing along the Dead Sea have higher concentrations of the minerals and valuable oils for use in cosmetics and medicine. The major minerals found in the Dead Sea are those which are vital for body chemical functions and natural, healthy skin. Potassium helps to maintain moisture and water balance in the body. Magnesium help to prevent and cure skin allergies as well as helps to tighten the skin. Sodium, Chloride and Calcium provide mineral and water balance of the body’s cells. Bromine has a soothing effect and helps to relax. Magnesium, Potassium, Bromine, Calcium, Chloride, Sodium, all minerals essential to youthful looks and good health, are present in Dead Sea waters at 10 times higher density than in any other body of water in the world. Mineral salts and mud of the Dead Sea have a unique healing and beautifying effect on the skin. By just soaking in the salty waters people with psoriasis and other skin problems feel relief and improvement of their skin condition. Dermatologists all over the world prescribe their psoriasis and eczema patients to take sea baths in the Dead Sea. The Dead Sea mineral composition therefore contains and is the unique blend for the beautifying and therapeutic effect on the skin. Dead Sea salt is also known to cure skin disorders through strengthening the skin tissues, maintaining the chemical balance of the skin, stimulating blood circulation and eliminating toxins from the skin. Other skin ailments such as arthritis (including psoriatic arthritis), joint inflammations, muscle stiffness, itching skin and pain are also relieved when these minerals are used. Dead Sea salt and mineral mud are also known to help with acne, athlete’s foot, brown old-age spots and can also be used for personal hygiene. Due to the high mineral content, regular Dead Sea salt baths can improve various chemical imbalances of the skin and body. Dead Sea Products – What Types Are There? Dead Sea products are based on the ingredients of the Dead Sea water such as Dead Sea salts, minerals and mud. Facial and body skin products include beautifying salt scrubs, mud and mineral masks, as well as various creams such as hand cream, Dead Sea rejuvenating cream, moisturizing cream, exfoliating cream, replenishing cream, face lotions, and serums. There are also facial and body care products such as make-up remover, foot cream, facial toner, shower gel as well as various salt and mineral soaps and other therapeutic products for skin disorder cures. The most famous of the Dead Sea products are Dead Sea salts, Dead Sea scrubs, and Dead Sea mud. They are extremely rich with minerals that have unbelievably high healing effect of various skin disorders including psoriasis, acne, blackheads, rheumatism, inflammations of joints, arthritis, eczema, athlete’s foot, brown old-age spots and other skin ailments. 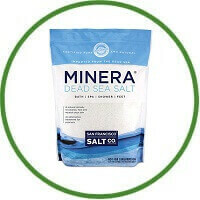 Dead Sea salts can also be used for personal hygiene. Dead Sea mud can be used for different purposes. If you are looking for a very dry skin treatment then you need to try the famous Dry skin care line, produced by Jericho. For medical purposes you can take Dead Sea mud baths or use Dead Sea heated mud applications. For cosmetic purposes, one can use Dead Sea mud mask that works as an anti-aging, anti-wrinkles, deep cleansing and whitening agent and proved to be 4 times more effective than any other product of the kind during the comparative tests with most of other cosmetic brands. Facial mud masks are stimulating, tightening, rejuvenating and cleansing. It absorbs deeply into the pores to cleanse and nourish the skin and as a result to tighten and refresh the surface of the skin thus working as anti-wrinkle and an anti-aging agent. It has a powerful stimulating effect. You can actually feel the mud application working on your skin. Skin looks smooth and glowing after the application of the mud masque. Heated mineral masks help to penetrate the skin deeper and provide lacking minerals and vitamins to the skin. Minerals which are rapidly absorbed into your skin, revitalize and rejuvenate the skin. Dead Sea cosmetics and skin care products are indispensable for people who want their skin to be healthy, firm and wrinkle free as well as youthfully bright, soft and silky. Finally, the Dead Sea contains the highest concentration of health enhancing minerals compared to any other body of water in the world. The chart below demonstrates how much more mineral content is present in The Dead Sea compared to other bodies of water.